This is a brief documentation for the free Gann Square of Nine Excel Workbook file located in the software store. I have some material written on the subject of Gann Square that I planned to publish soon. Then I realized that without a working Gann Square on hand it will be difficult for many people to understand what I am talking about. It is better to upload the Excel workbook and the code library first and then follow up with the articles. First it is an Excel 2007 file so you need a newer version of Excel to work with it. 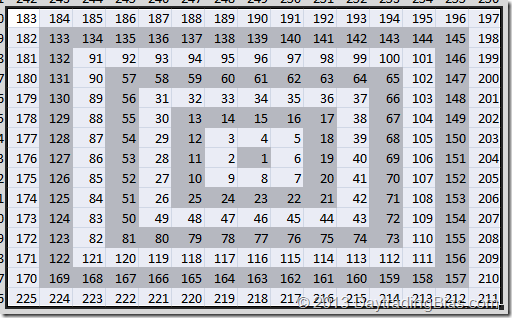 You also need the VBA enabled in the workbook to use it as the Gann Square functions are implemented in Excel VBA. And before anyone asking why not do it in Google spreadsheet, it is not a good idea at all because Excel is way better in this aspect in terms of customization and application building. After opening the workbook, the example gann square will show up. You can use it as is. Print it out for reference, look up values from there, etc. There is also a second spreadsheet in there called Gann Square Custom. 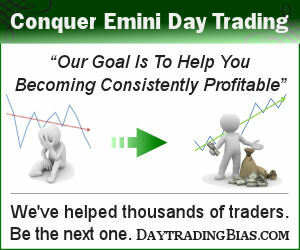 It showcases the possibility of constructing custom gann sqaure based on different initial settings. When you want to go one step further and build your own customized Gann Square, then you need to follow the following steps. 1. Make a copy of the workbook using a different name as you need the VBA code library from the workbook. Advanced Excel users can do it in one of many other ways in including the code library. 2. On the spreadsheet that you want to create a new Gann Square, locate the cell that you want to put the Gann Square to and give it a name using Name A Range command in Excel. 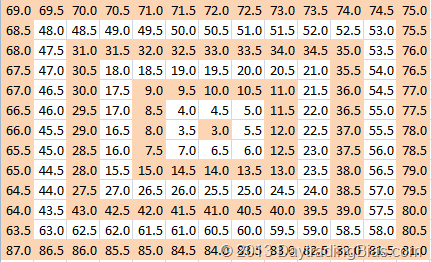 The example spreadsheets named the center cells as gann and gannc. 4. 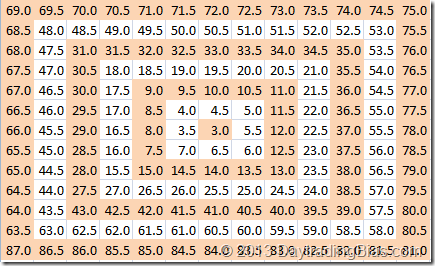 Ring color formatting in the examples are done using conditional formatting in Excel. The formula is essentially a reverse calculation of the ring value based on the property of Gann Square which I will discuss in a separate article. "RC" in the formula is the current cell relative reference in R1C1 style. "3" in the formula is the centre cell value. "0.5" is the increment value for each step. 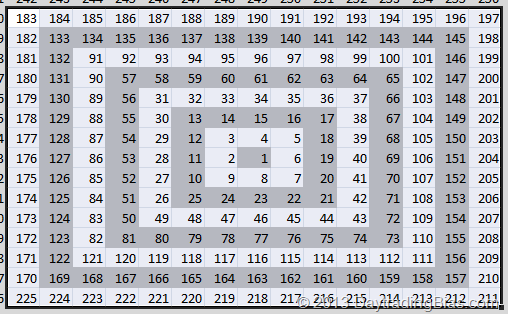 It is a useful building block for anyone interested in constructing Gann Square but do not know how it can be done without hard coding formulas in a spreadsheet. Anyone interested in additional functions added to the library please let me know. Just post what you like to see added. I am not actively developing the template but some members here may help out with what you want. So post away and hope for the best! All other excel square sheets I’ve seen seem to tediously count around to get the values whereas yours uses the square function/property to calculate values. 3. Entering a value and a date and having the program hi-light the corresponding cell on the sheet plus the 45, 90, 135 values plus calculating the corresponding dates for each of the hi-lighted values, and also listing the values and dates. Thats a few of the ideas I’m interested in. First, it is best to post the correspondence in the forum because it is where the excel template is downloaded from. #1 you need to provide examples of what you are looking for. pictures would be best. #2 & #3 what you are looking for is beyond what a basic Excel template can do. it is closer to an Excel application. How do we use it for trading? Follow the link at the beginning of the article. Hello mate, hope all is good. Can you add one more function to the excel file? I am still learning and don’t know how to edit and add formulas. I have found one youtube video with the formula to find intraday reversal time using the square of nine, formula is =MOD((SQRT(Price)*180)-225,360) and let’s say opening price is 9801, then =MOD((SQRT(9801)*180)-225,360) which equals 315 degrees. projections, so we need to add more degrees to the resultlike, 30, 60, 90. Can you implement this in the excel file? Thanks!